You are looking at what ends up as the drinking water for the city of San Francisco. 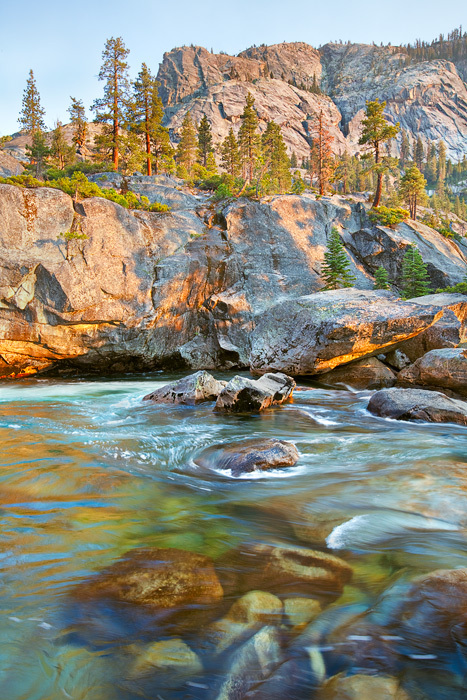 A remote and rugged place, the Grand Canyon of the Tuolumne River, is a place of incredible beauty. While this area is primarily known for its crystal clear rapids and granite domes and peaks, it was the majestic trees that inspired this image. Photo © copyright by Michael Greene.